We are a G​eotechnical Engineering and Engineering Geology professional services firm providing a broad spectrum of services encompassing subsoil exploration and characterization; analysis and design to provide solutions of geotechnical problems such as slope stability, ground improvement, shallow and deep foundations (Cimientos), dams; earthworks, concrete, and construction materials testing; monitoring, inspections, and supervisions; geohazard evaluations; environmental assessments. We offer a wide range of services including geotechnical and geohazard analysis for the design of foundations from high rise buildings to water dams; and other geotechnical problems such as slope stability, and liquefaction analysis; ground improvement solutions such as surcharge consolidation, densification with vibrocompaction, dynamic compaction . ​​We conduct our own subsurface exploration and characterization, field testing, and instrumentation with our fleet of drilling rigs and soil sampling and rock sampling equipment, in support of our geotechnical engineering professional consulting projects. ​We have testing capabilities to provide a variety of testing services for soils and concrete on-site in projects, and in our laboratory. Our team conducts a series of monitoring studies such as site characterization, geo-hazard studies and environmental assessments​. ​To consolidate and strengthen our leadership in the delivery of highest quality geotechnical engineering consulting services to help our Clients reduce and manage the risks in their projects and constructed facilities. Our mission is to provide our Clients with the most Suitable, Safe, and Economical geotechnical engineering solutions for their projects, by performing our work to the highest professional standards. We strive to apply the most recent advances in our profession and to provide a coordinated engineering effort between Owners, Developers, Designers, and other consultants from the early stages of a project through its completion. G - GROWTH – PURSUE GROWTH OF OUR FIRM TO MAINTAIN A SUSTAINABLE PROFESSIONAL SERVICES ORGANIZATION. 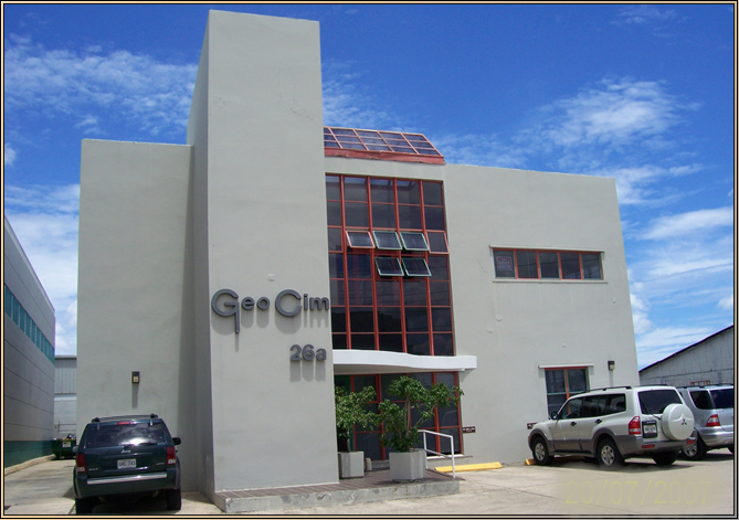 E - EXCELLENCE - IN THE GEOTECHNICAL ENGINEERING SERVICES WE PROVIDE. 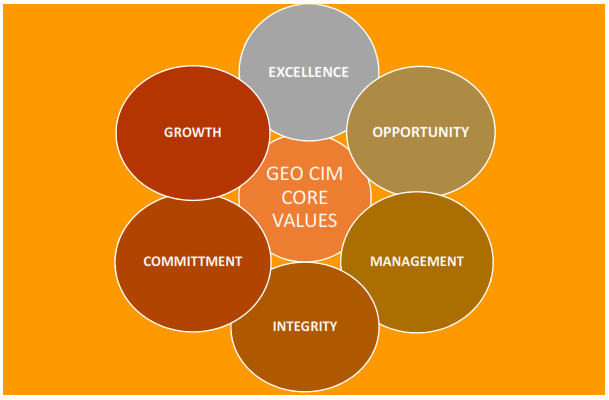 O - OPPORTUNITY – ATTENTIVE TO NEW OPPORTUNITIES WHERE GEO CIM CAN PROVIDE OUR SERVICES THAT CAN SERVE AS A VEHICLE FOR GROWTH.